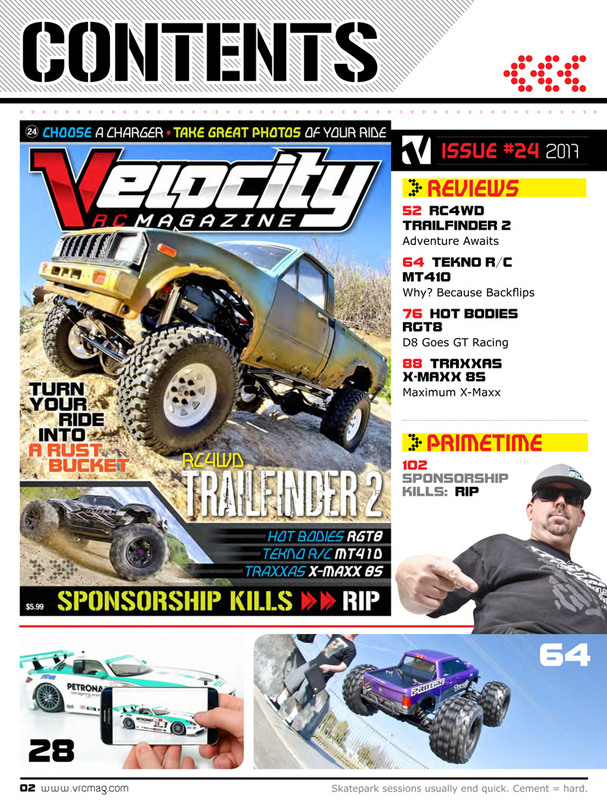 VRC_024 – Velocity RC Cars Magazine Instant Download! Just $2.99! 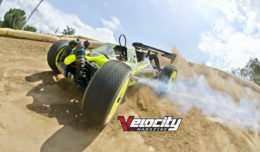 An RC Car is an amazing piece of modern engineering. Fast, almost unbreakable and more affordable than ever. Yet tomorrow we can all race cars online and further become socially awkward. So get outside and interact with what others call humans. 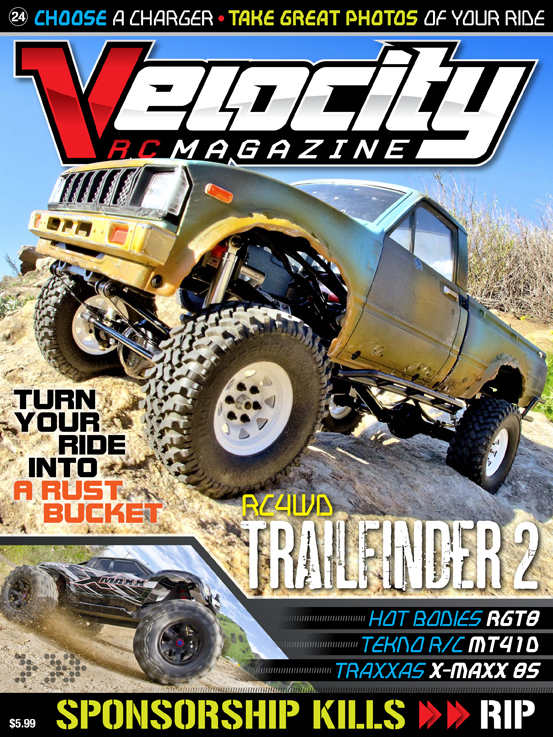 This issue we walk the trails of rattle snakes, show those pesky skaters how to break a leg, and we hit almost 50mph both on and off the road. 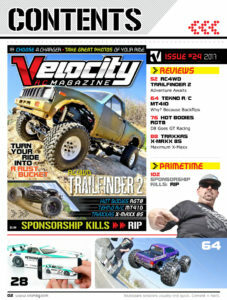 Velocity RC Cars Magazine is the World’s best selling digital only magazine. Why? 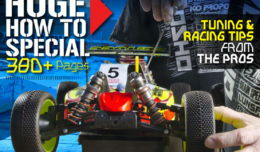 Because we give you over 120 pages of content delivered how you like it… online while at work. The latest issue leans toward the fun side of RC with 4 reviews, detail tips, videos, and everything we could pack into this issue for just $2.99. 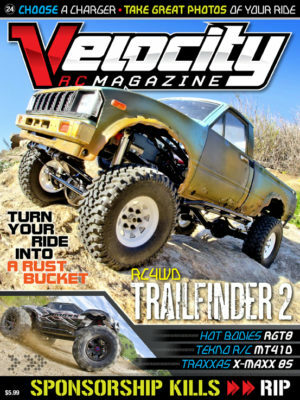 Just $2.99 for a single issue! 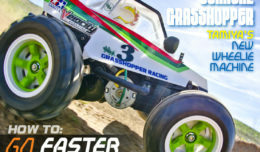 • Traxxas X-Maxx 8S conversion – Almost like the kit. 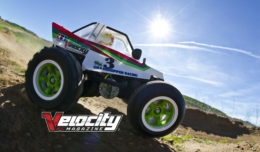 • Tekno RC MT410 – It’s a monster truck when you add the monster parts. 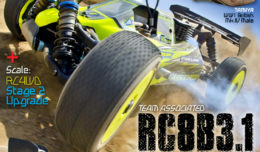 • HB Racing RGT8 – Nitro on-road! Yes, they still exist. 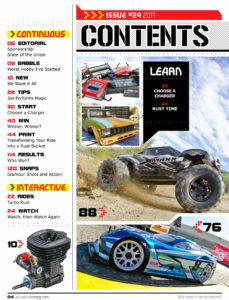 • RC4WD Trailfinder 2 – So there are rattlesnakes. Live. How to add rust and rot your plastic body. Pick a charger – I cho cho choose you! Take better pictures – clean the lens! 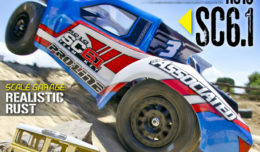 Sponsorship – You aren’t sponsored yet? Everybody is doing it.